Angel Nurse escorted Brad out into the hall where he was given a gown, hat, and shoes to wear into the operating room. While he was changing, Dr. F came into the room. "Jennifer, how are you feeling?" It had to be him. Of course he was the one who would be performing my surgery. This man that wouldn't listen to me and had ignored my pleas three weeks earlier--he was going to deliver my baby. "We will have you in the OR in five minutes. Dr. L will be assisting me. I will see you soon, and try to relax. We will do everything we can." Once again, Angel Nurse returned to the room, this time her dark hair covered with an OR cap. "Jennifer, I won't leave you again. I will be the one beside you throughout the surgery. It's time." My bed began to move, and I frantically searched for Brad, who had been detained in the hallway talking to Dr. F. I later learned that my 23-year-old husband had bravely cornered the veteran physician and told him, "You be nice to my wife. She doesn't trust you and she's really scared. Be nice to her." When he finished talking with the doctor, Brad stepped next to the bed, grabbed my hand, and talked about what was happening around me, where we were going, and what the OR looked like, never once revealing his inner fears for the baby's and my safety. I remember little of the actual OR experience leading up to the delivery. What I do remember is the exact moment I saw a small pink frog with a giant head being quickly lifted from my warm body and moved to an already heated isolette, then rushed off to the NICU. Just as the NICU nurses left the room, I asked Brad, "Was it a boy or a girl?" He looked at me quizzically, then asked, "I don't know. Doctor, was it a boy or a girl?" "I don't know. Nurse, was it a boy or a girl?" "I don't know. We better call down to NICU right now and find out." And that was all I remember. A girl. Since my condition had gone undiagnosed for weeks, my health was just as tenuous as our new baby's. My recovery was monitored very closely--a blood transfusion to combat my life-threateningly low platelet count, blood draws to track my sky-high liver enzymes, and for the first 48 hours I had no visitors other than Brad in my dimly lit room as they hoped to lower my off-the-chart blood pressure and prevent a stroke or coma. My skin turned the pale chalky color of the recovery unit's walls as my body tried to rid itself of weeks' worth of toxins in my blood and liver. I was so sick that I barely cared about anything. I couldn't think or eat or even see our tiny new baby girl. Tiny doesn't do her justice. Born at thirty-one weeks gestation, Baby should have been 3-3.5 pounds, but just as I had lost weight over the last three weeks, so had Baby. Our girl was one pound and twelve ounces--half her anticipated size. My aunt tried to describe how small she was to her boys by taking two boxes of butter out of the fridge, and after removing one cube, she handed them the boxes and told them that's how much she weighed. 795 grams and thirteen inches long. She was so tiny that in the above picture she is wearing the nurse's size 8 wedding ring around her arm. Brad would bring me updated information and Polaroid snapshots of her as often as he could. She was astounding the NICU staff. Soon after birth, the doctors removed the ventilator because she was breathing around its support, and within hours, she had been weaned down to room air with no supplemental oxygen. 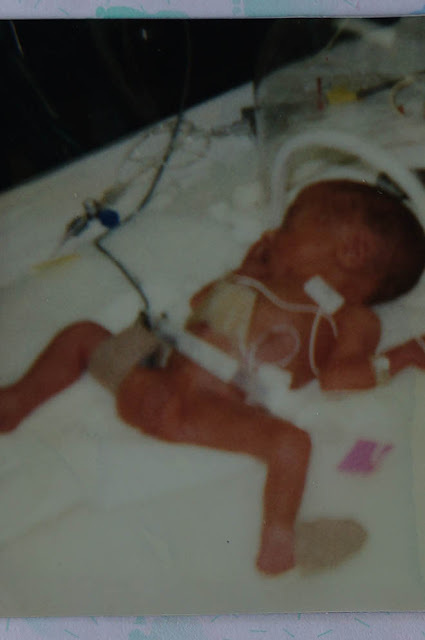 Most babies in the NICU are sedated and intubated so that their lungs can develop to a stage when they can breathe on their own, so there is little crying heard within its walls. Our little girl occasionally even let out a cry since she was free of these inhibitions--a sound much louder than any thought possible from such a miniature thing. She was quickly given the nickname MIGHTY MITE, for her strong lungs and healthy cry--and her exceptionally small birth weight. Two days later, my condition stabilized enough that I could be wheeled down to the NICU and hold our daughter for the first time. My illness had left me weak and timid--never before did I remember being so afraid of what was coming. What would I think of her? Brad and the staff had tried to prepare me for what she looked like--nothing like a regular full-term baby--but I was her mother. How would I feel about this tiny baby hooked up to monitors and cuffs and with an IV coming out of her head? I shouldn't have worried. The second that nearly weightless bundle of blankets was placed in my arms, I loved her and I knew she would be mine forever. Before her birth, Brad and I had discussed names. 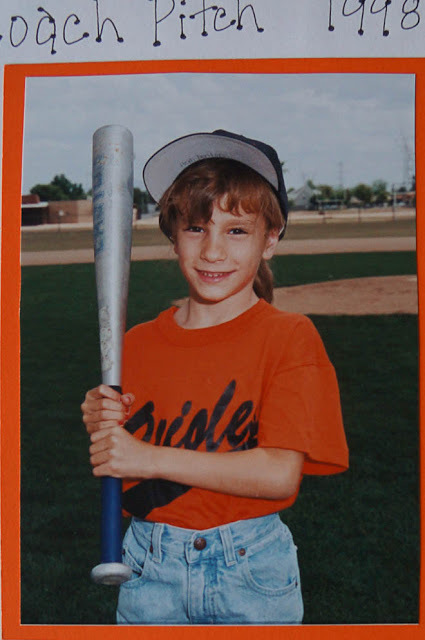 I don't remember any of the boy names we liked, but if it was a girl, her name was going to be Alexandra. 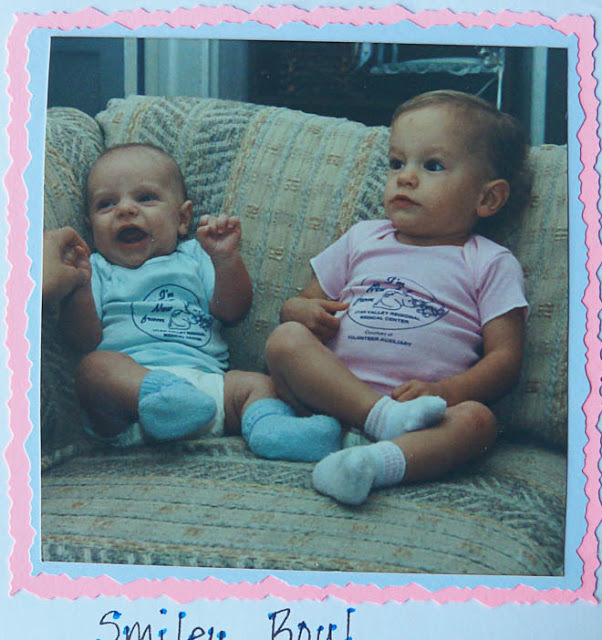 When a baby is born weighing less than two pounds, a grand, elegant LONG name like Alexandra runs on longer than the child, so Alexandra was tabled in favor of shorter names like Emily and Christine, but none of them seemed to fit. Three days of discussion eventually led to me writing Heidi on her birth certificate, and just like that, she became our teeny woman, Heidi Denton. Although she did have two blood transfusions and a PDA ligation at four days old (a heart valve surgery that is rarely performed now without waiting weeks to see if the valve will close on its own), Heidi's life in the NICU was uncharacterisically crisis-free. She was never on any medications or extraneous machines. These were the days before the use of synthetic surfactant to assist lung development, so her strong lungs and audible cries were a novelty to the nurses who cared for her. 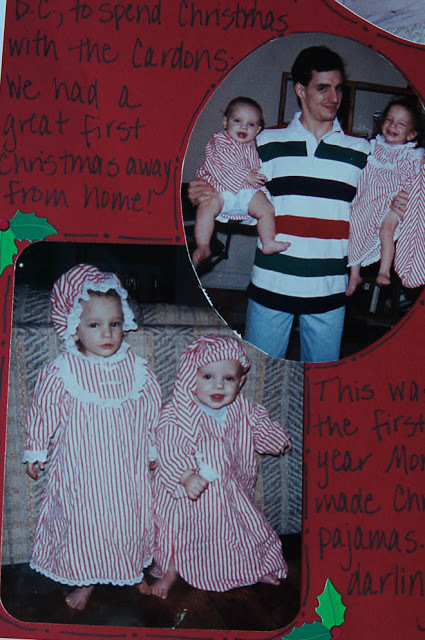 I was able to hold her as often and as long as I would like (back in the day where they kept preemies away from touch for fear of overstimulating them), and on rare occasions, the nurses would allow me to dress her--like a real baby. Our life became routine--Brad had transitioned to his new job at WordPerfect, a blessing that we never could have foreseen. WordPerfect's health insurance covered pre-existing conditions from the day of employment (with a $20 deductible, no matter the issue), so Brad rushed to the new office a week earlier than planned, a decision that saved us from carrying most of the enormous financial burden generated by nine weeks in the NICU. I would drive to the hospital late in the morning, pump out my breastmilk, then sit and hold Heidi for a few hours before heading home to work on changing that mint-green office into a buttery yellow nursery or to finish the school work left from my seventeen incomplete credits the previous semester. Then, after dinner, the two of us would head back to the hospital for a few more hours, surrounded by the now-familiar sounds and smells associated with the NICU--sponge-backed brushes to scrub our hands like surgeons, monitors and bells going off around every bed, respiratory therapists pounding babies' backs in what seemed a too-harsh fashion to free their lungs from the harmful fluid building there. Even though Heidi's growth rate was the doctor's main concern, we would often come to the hospital at night and see that she was visibly bigger than our previous visit, and we would hope that one day she would be big enough to come home. Sixty-five days in the NICU. Sixty-five days of charting her unbelievably slow growth. Sixty-five days of pumping breastmilk and dumping it down the sink. Sixty-five days of visits and stress and promises that when she reached five pounds, she could come home. Heidi was healthy and strong, but she refused to grow, even by preemie standards, and the doctors were puzzled. There was no outward reason they could find that would impair her growth, and they tried everything to help her gain weight, with no success. Around the beginning of February, when her weight hovered just below four pounds and refused to go higher for three days, the doctors had a discussion and decided the mandatory five-pound weight requirement could be suspended in Heidi's case since she was perfectly healthy with no monitoring issues or necessary external oxygen, and they told us we could take her home that night. With that, on February 5, 1991, we bundled up our three pound, fifteen ounce daughter, and we walked out of the hospital. And so we began life as the Denton family. The doctors would tell me at her checkups not to worry about her size--she would catch up by the time she was two. No, but definitely by the time she was four. No, but surely by kindergarten. No, probably by the time she was eight. Okay, she will always be small, but we never worried because she was so healthy and bore no lasting effects from her prematurity--no learning disabilities, no vision problems, no hearing issues. We would take small and embrace it gladly. Heidi has always been a special child--a daughter blessed with quiet wisdom and a peacemaker's heart. She always has time for friends or family, always calm, usually in the background enjoying life around her. I've always been able to trust her decisions, even when I couldn't see the end like she could. I've been there every day of her life. I've watched her learn and change and sorrow and triumph. 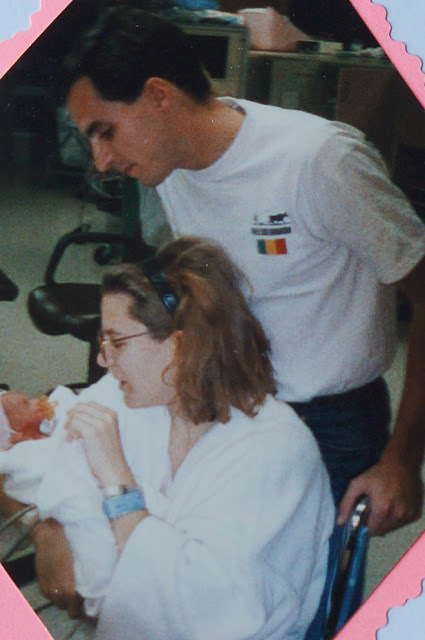 I will always treasure the gift that God gave me that terrifying day in December 1990--not only the gift of a beautiful and miraculously healthy child, but the gift in knowing that life here on earth is not to be taken for granted--every moment precious, and every birth a miracle. Now, as I sit in her home and watch her care for two beautiful children of her own, I see the circle of life begin again and my mind can't help but wander back down the paths where memories linger of me and my two tiny firstborn children. Where has the time gone, my love? My tiny, tiny daughter with the huge heart. I love you, Heidi. She is such a special person (I want to say kid or child, but when you have 2 kids of your own that doesn't quite fit!) I have been so lucky to call her my daughter too. And I almost thought it was a pic of Ellie and Nathan...strong genes. So beautifully written! I have loved reading it. Today I cried. Heidi Is a blessing in so many lives, too many to count. What a gift she was, and continues to be. I couldn't be happier my own sweet girl still thinks of Heidi as the ultimate role model. Happy birthday week Heidi! Did the doctors ever apologize? I forgot we had that Dr. Office in common, funny to picture you sitting right in that same room, just a bit earlier. Thank you for writing this sweet, soul stirring account. Heidi's kids will all appreciate it one day. How fun that she had a baby close to her birthday!! Hope you are giving that little newborn lots of snuggles!! What a story! It always amazes me that parents who are so young can step up to the plate in such a courageous way and find strength in each other as you and Brad did. Heidi sounds like an old soul - and a special one at that. Your relationship had a tenuous earthly beginning but I suspect you've been friends for a long, long time. Thanks for sharing this. Made me cry. Merry Christmas! I remember holding Heidi for the first time after scrubbing the top layer of skin off of my hands and halfway up my arms. Being the baby lover that I am and knowing the size of full term babies, I finally realized, after a couple of weeks of just being super excited to be an aunt for the first time, how scary and tiny Heidi was. She has been such a great example of determination and positive attitude her entire life. Happy birthday Heidi!! 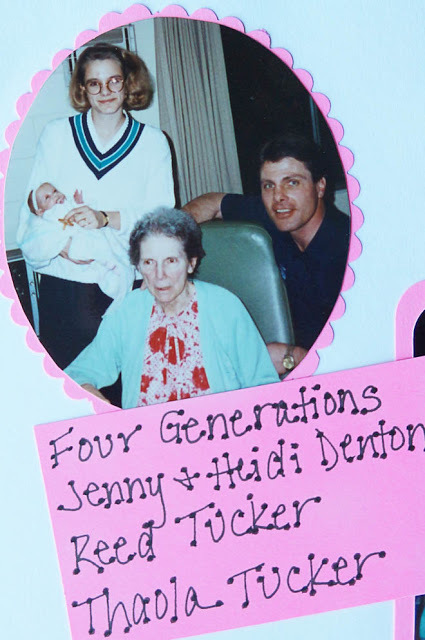 Jen, what a beautiful gift you have given Heidi in recording her birth story. Truly our firstborn holds such a precious place In our hearts as they gave us the gift of motherhood, and now she is a mother in her own right, she has given you the gift of being a grandmother with all that role entails. I, too, thought it was a photo of Heidi and Sam's children initially. I hope all is going well for them and that you get to dote on them over the Christmas break. 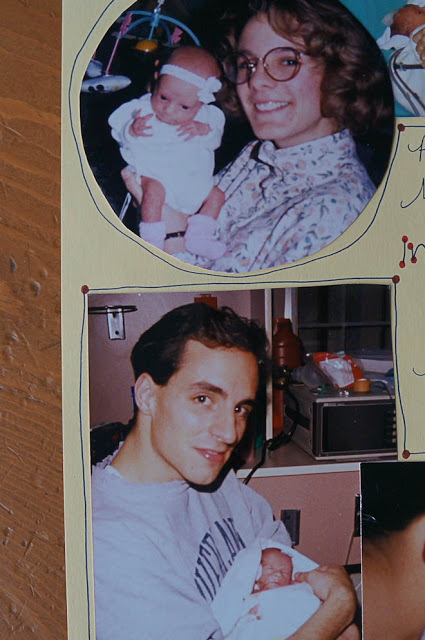 Love this story- I had no clue all you had been through on your first child. You are a fantastic storyteller. Hope you're enjoying Idaho! Wow, amazing story! I knew she was a preemie from past posts but I didn't me all of this, obviously. Such a fighter. I also missed this past year at Heidi gave you a second grand baby! Wow! I'm so behind, I guess! Thank you for the fantastic tale! I watched my reader every day for the next part! You are an inspiration to me, though we have almost nothing in common. Heck, maybe because we have nothing in common. Thank you for sharing your life; you make a difference. What an amazing birth story. it's so cool how all of "your people" look like each other. What a beautiful story! I'm here because I read Clover Lane this morning and started clicking on the links. This might seem odd, but thank you for writing out all these details. Your experience was very similar to the one my mother went through with my younger brother and because of medication, she remembered very little of it (and is no longer here on Earth to share any stories). So thank you for telling a story about your own life that made me feel close to my mother and her emotions.